Did you just purchase or receive a new Galaxy Note 9 and have no idea how to get around the hundreds of available settings? In this guide, you’ll out all about the main settings that might be useful to you. We’ve divided them into categories according to their exact location in the system, so you won’t get lost trying to search for them. And by the way, these tricks can be applied to many other Galaxy smartphones! Important: These tips are based on Samsung Experience 9.0 firmware and have been verified on the Galaxy Note 9 and S9+. 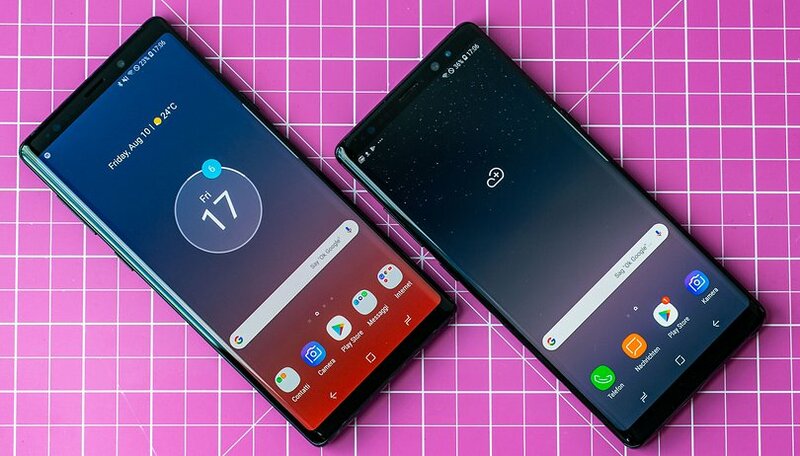 Due to some differences between the models, some Samsung smartphones may not have all the features you’ll find listed in this article. Without a doubt, Galaxy smartphones have the best smartphone screens on the market. The Note9 may have the absolute best display, and before it, that title belonged to the S9 and S9+. Even mid-range and low-end smartphones now come with an AMOLED display, so many of the top-range features can be found on almost all the Korean company’s smartphones. Enlarge or reduce the size of the items on the display: Settings > Display > Font and screen zoom. Here you can choose the font, its size and even the scale of the interface to enlarge the elements on the screen. Calibrating display colors: Settings > Display > Screen mode. In this mode, you can adjust the color range on the display and even adjust the temperature and individual RGB channels of the display to get the experience you want. Improve video performance: Settings> Advanced features > Video enhancer. This function allows you to improve the colors and contrasts of your videos within certain apps. Prevent the display from turning off while you’re watching something: Settings > Advanced features > Smart stay. This function will allow your smartphone to understand if you’re watching (or maybe reading) something and will prevent the display from turning off. The Samsung Experience is a highly personalized interface and comes with a lot of interesting features that often blend into the background because they aren’t very well known. Many of these settings on Galaxy smartphones are quite useful. Reverse the order of the navigation keys: Settings > Display > Navigation bar. Here you can choose the color of the navigation bar and reverse the order of the keys. One-handed mode: Settings > Advanced features > One-handed mode. You can choose to activate one-handed mode by sliding your finger from the bottom corner of the screen to the opposite corner (diagonally) or by pressing the home button three times. View notifications without straining your thumb: Settings > Advanced features > Finger sensor gestures. By activating this function you can open or close the notification area of your smartphone without having to reach your thumb to the top of the display. Instead, just scroll along the fingerprint reader. Improve display sensitivity: Settings > Advanced features > Touch sensitivity. When activated, this item improves the sensitivity of the display if you’re using a protective cover on your device. Samsung smartphones certainly aren’t the champions of battery life, but luckily the company has provided many settings that will come in handy. Change profile: Settings > Device maintenance > Performance mode. Here you can change the profile of your smartphone’s performance and improve battery life by reducing performance. Decrease display resolution: Settings > Display > Screen resolution. Lower display resolution means less effort for your smartphone’s CPU and GPU, which results in lower power consumption. Put the unnecessary apps to bed: Settings > Device maintenance > Battery > Always sleeping apps. In this menu, you can select the apps that should be kept frozen and that will not start automatically in the background. Power saving mode: Settings > Device maintenance > Battery > Power saving mode. Galaxy smartphones have the normal power-saving mode of Android as well as an extreme mode for real emergencies. Deactivate the always on display: Settings > Lock screen > Always on display. Even with your smartphone on standby, turning off the clock and notifications will save you about 5% battery over the course of the day. That’s not much, but at least that’s something. Samsung has always done a great job with its smartphone camera. The camera app is comprehensive and has a lot of interesting features, although sometimes these features are buried between the various shooting modes and the multitude of settings. Change the active shooting modes: Camera > Settings > Edit camera modes. In the menu for the front and rear camera, it allows you to select which shooting modes to keep active in the interface of the camera app, so you can hide the modes you don’t use and reorder the ones that you frequently use. Motion photos: Camera > Settings > Motion photos. By activating this mode, each photo will be captured together with a short video before the shot in order to give new life to your gallery. Be careful with this one, because the size of the images will increase significantly as a result. Activate the grid: Camera > Settings > Gridlines. You can activate a 3x3 grid or a preview square in the main interface of the camera app to allow you to better frame your subjects and better compose scenes. Activate voice control: Camera > Settings > Voice control. If you select this feature, you'll be able to shoot photos by saying "Smile" or "Cheese". This will definitely help for big group selfies. There are of course many specific functions that are more suitable for certain models of Galaxy smartphones. If you have one of the smartphones in the list below, just click on its name to reach the article dedicated to tips and tricks. I choose Samsung smartphones because I like the options available. Did you know all these settings? Have you found any interesting features that are missing from our article? Let us know about it so we can help other users!